http://static.bbci.co.uk/music/introducing/img/BadgeBroadcast.png The tunes here are due for updating, these were all recorded shortly after the band got together - things have moved on considerably. 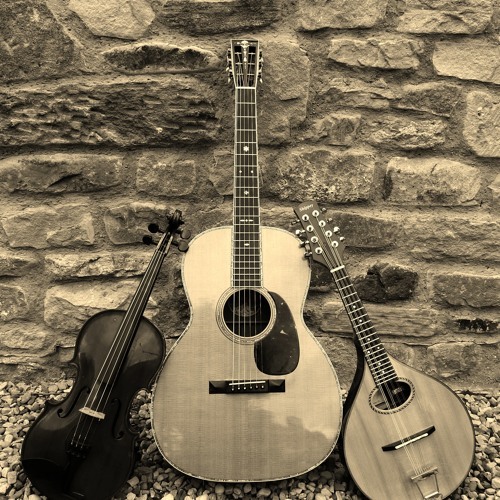 The Free Range String Band are: John Burge (multi instrumentalist); Jane Waites (Fiddle, whistle and Champion Clog Step Dancer - twice Northern Counties champion and twice Lancashire & Cheshire champion); Phil Waites (Flatpick Guitar and Vocals). Also available for Ceilidhs with caller Benny Graham or with fiddler Tom McConville for concerts. All three are ex professional musicians who gave up playing for a while due to various other life commitments and are now busy making up for lost time. The band are currently arranging material, playing and recording the music they love, which includes; traditional Northumbrian/Irish and Scots tunes and Old Time American music alongside Jane & John's original compositions. Jane's clogging is always a highlight in any show and fits in so well with the style of the band. We will post longer bio's, reviews and music in the coming weeks as we get a little more organised. We are currently taking bookings, for Ceilidhs, clubs, festivals or any interesting events. : Contact; freerange049@gmail.com or Tel: 01833629510 (UK) What the Press say about the band members. Due to space limitations here we chose a brief snippet each from the dozens of good reviews we have each had over the years: More to come. JOHN: ...is a gifted multi instrumentalist...top notch playing from a remarkable talent .."The TALK Magazine" JANE: ... is one of the regions finest clog dancers, a performer of great skill and energy - "Folkworks" PHIL: ... absolutely note perfect bluegrass...I was transfixed, it was simply great .. "Sean McGhee ROCK & REEL Magazine" All tracks are recorded live using an Audio Technica At 8022 stereo mic direct to a Sony PCM D50 stereo field recorder, mostly one take warts and all - what you hear is what you get. Clicking on the tune titles gets you to some notes about the tunes. We could have recorded these tracks with Phils full studio setup (Akai DPS 24 - digital 24 track) but decided a simple live stereo field mic arrangement was the most representative and honest way to demo our live sound,. John play's Paul Shippey Mandolin/mandola Phil plays various Bill Collings guitars and a 1953 Martin D18 Jane's book of 35 original, trad style fiddle tunes, "These Old Stones" is now available. Email: freerange049@gmail.com for details .